Bicycling in the streets of phnom penh, one can sense so much similarity to southern indian places. Being a foodie, my eyes and interest obviously stick to those things I value primary. Like the vegetable market especially… loaded with tropical stuff, even some of those rare fruits amd vegetables that have been our childhood nibblers! I have tried to capture some… let us enjoy it together! I gave the title ‘The Cambodia Connections’ and also suffixed with ‘I’. There is an ocean of many more things that would follow in future posts, that could be categorised under the same title. Kothumalli/Coriander is available in plenty. But more than the green, fresh coriander, what attracts the most is the way it has been clipped beautifully with the cut palm leaf or something else I am yet to find out! 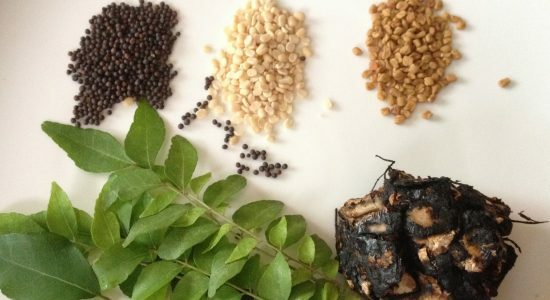 We call it Kothumalli Kattu is Tamil – it means tied coriander bunch. Nellikkai/Gooseberry is one of those summer delights which is a sour fruit and when one has a glass of water after, it sweetens ones taste buds. While Nellikkai is available in the markets and vendors in bicycles – the packet of salt and red chilli powder that comes with the pack made me feel at home truly….. that’s the way we have our raw fruits like mangoes, guavas and gooseberries. Now, I had been searching this for a long time… in Chennai whenever I go on a holiday. But not been able to find it. This used to be one of our childhood nibblers (if I could call them so) sold out of the school in Thoothukudi. Myself and my cousin who used to come out of school would buy kodukkappalli and nellikkai and munch back home! It is called Kodukkapuli in Tamil and we used to call it kodukkappalli colloquially. The sweet soury taste still lingers in my tongue.. with some sweet memories too! The Manila tamarind fruit is low in calories, and including it in your diet can help you meet your daily fiber, vitamin C, iron, calcium and potassium needs. It promotes normal bowel movements, controls hunger and lowers your risk of heart disease. 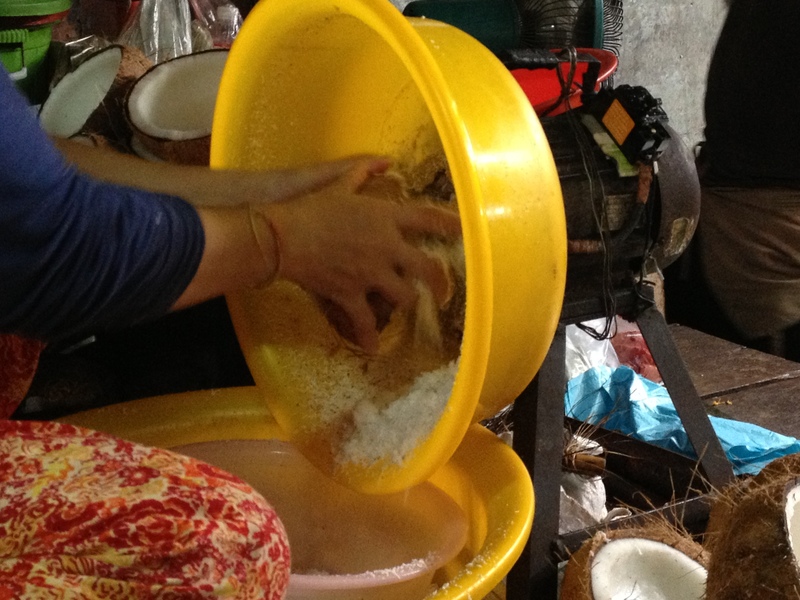 The south of India uses more coconut in cooking. Buying coconut and grating in not a problem anymore. In the market, you choose your coconut and the vendor grates it in front of you. It looks like an indigenous coconut grating machine made from local items.. very interesting! On a humid, sunny, sweaty day, a glass of sugarcane juice can provide instant energy. Karumbu Chaaru in Tamil. Karumbu is sugarcane and Chaaru means juice. In the streets of Phnom Penh, one can find these small carts/machines and the juice is sold in disposable glasses… covered in a small plastic bag – easy to be hung in cycle handlebars or be placed in water bottle holders in bags. There are also halves of lemon squeezed between the canes while they are being pressed… I think in India, it is also a bit of ginger added while the juice is pressed…if I am right. The only problem is the glass would first be filled with icecubes it can fully hold and the other approximately 3 or 4 ladles of juice would fill the glass… great chiller ofcourse but solely due to ice. Pay double or triple and you get the same glass full of juice… but my sugarcane lady is very friendly though.. she insists I take ice in the outer bag and she places the closed full juice glass in the ice bag and we reach home with undiluted ice cold karumbu chaaru/sugarcane juice! It is truly a warm feeling of being at home! An exploration of more cultural and cuisinical similarities between the Tamils and the Khmers! I shall try my best! It is Tamil Puthaandu/Tamil New Year on April the 14th. The Khmer New Year called Chaul Chnam Thmey (means Enter New Year) is celebrated for 3 days starting April 13 to April 15. Puthaandu Vazhthukkal! Happy New Year! 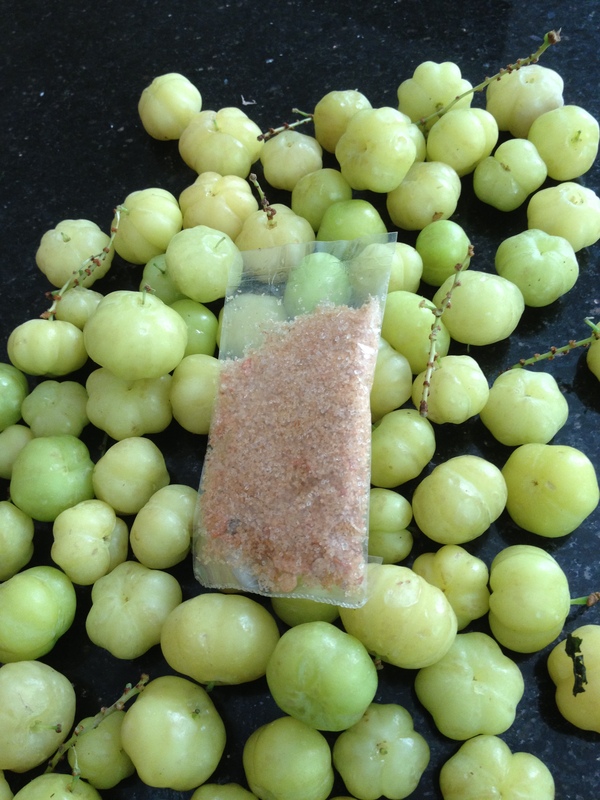 Lovely post…Been ages since I ate gooseberries and the twisted tamarind….yum yum..
Too quick to reply Deepti! Isn’t it wonderful to go back to childhood memories! Absolutely Subbu :-)…Had a quick flash of my summer vacation in my grand parents place…thanks to you. Thanks for the blog and glad to know the connections between the countries! Great piece of information! Thanks for visiting my blog. Yes the connection in terms of a few recipes is also amazing. There are more than these..especially the historic connections! I found Kodukappalis in Mustafa at Singapore and my thoughts took me back to my childhood days in Trichy when we stuffed our uniform pockets with these and munched on them at intervals! My shopping is never complete now without picking them Kodukapallis now. Who knew that I would be able to taste them again as an adult in a different country too! Wow.. Kodukkapulis are so very much associated with childhood memories! Here it is a regular market-vegetable-fruit affair. Do we find kodukkapulis in Tamilnadu anymore? Have we almost forgotten this variety – like many of those that we have lost to so called sophistication.. I was in Chennai for 7 years before I moved here and not once I found Kodukapallis at the market in those 7 years! I am a native of nagercoil and when I found some thuvarpu kodukkaipuli in thallu vandees in tirupur today I bought 100 grams for rs 20.Eating this fruit brought back memories of myself and my friends eating this fruit in my childhood days along with mookuchali palam(literally nose mucus fruit(thooo!,) as the fruit the shape of a small grape had a sweet sticky jelly like substance) and ney(ghee palam) which had small aromatic berries with ghee like sweet substance inside)For Thuvarpu taste the equivalent in English language is not there! and people due to inavailability of the word use the word sour wrongly which can be used only for puli and not kodukkaipuli! Thanks for sharing. The name twisted tamarind must have been given due to the resemblance to tamarind. 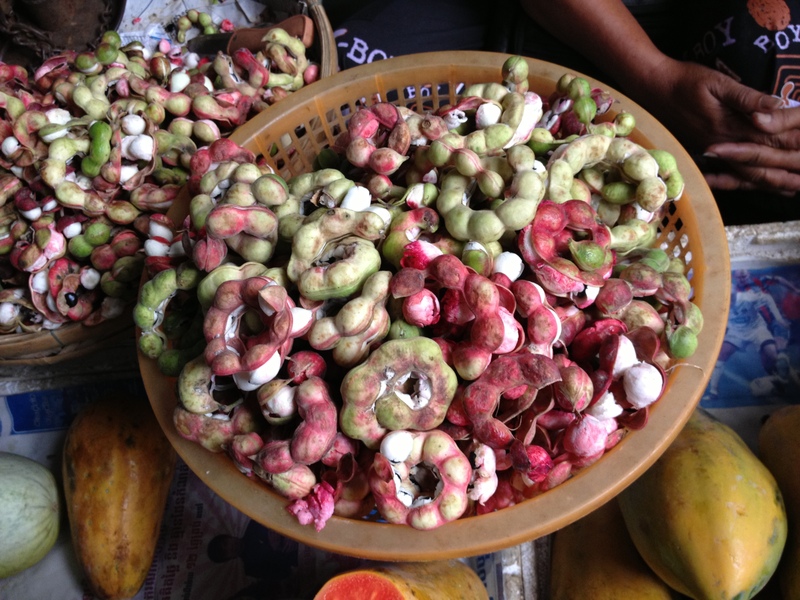 You are right, this fruit is not sour as tamarind but has thuvarpu suvai! Such fond memories! !